Petronas recently launched its new global research & technology (R&T) centre in Turin, Italy, which was officiated by Lewis Hamilton and Valtteri Bottas. The US$60 million (RM235 million) facility will be the global hub for Petronas Lubricants International’s (PLI) R&T activities – automotive and industrial technology testing capabilities and expertise. The role of the new R&T centre will be to introduce new technologies, create world-class infrastructure and develop industry-leading talent as PLI diversifies its product portfolio to strengthen its global position in the fluids industry. The Turin facility is the latest R&T centre of excellence set up by PLI, and joins the US$100 million (RM392 million) investment in a lubricant blending plant and satellite R&T centre for motorcycle lubricants at Patalganga in Maharashtra, India. PLI also owns a 50% stake in the Guangxi Nanning Yuchai Petronas Lube research & development centre in China’s Guangxi province. 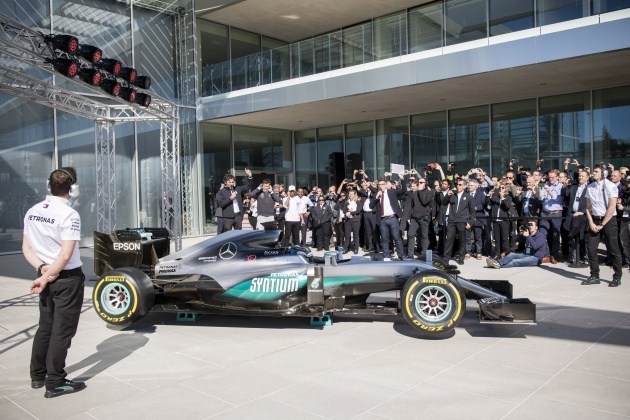 “Petronas demonstrates through Formula One that it is a world leader in the global fluids industry – and this new facility reflects the scale of the company’s ambitious development programme,” said Toto Wolff, team principal and CEO of Mercedes-AMG Petronas Motorsport. It has been for some time now, that all Petronas lubricant technology is actually those of the famous italian lubricant company, Selenia which was bought over by Petronas and rebranded PLI. So it is quite funny that malaysian consumers trust unknown fly by night lubricant brands rather than Petronas with millions of R&D with F1, mercedes and yamaha. No point spending millions for R&D if u still sell euro 2 fuel here in Msia. All the good stuff go overseas while Msian got rubbish, treating Msian like no class. Pls continue to do so if u wanna be just like proton. You have to understand that the type of fuel used in Malaysia is determined by the government. Oil companies (not just Petronas) will sell based on the requirement set by the government. If the Gov’t sets the requirement for Euro 5, all oil companies have to follow suite.